As I read this quote, I couldn’t help but think of the late Christopher Hitchens. Much has been written on the famous atheist in the wake of his death this week, and a great deal of the obituaries were from the mouths of Christians. (see here or here or even here) The overwhelming response seems to be that of respect and regret. Respect for his wit, vigor, and knowledge of the Christian faith, and regret that he seemingly never turned from his sins to embrace Christ as Savior. It was said that Hitchens had a firm understanding of the Christian doctrine of the atonement; he could explain an orthodox understanding of the penal substitutionary atonement as well as a true believer (probably better in many cases,sadly), only without the belief. Instead, his knowledge only fueled his harsh anti-God rhetoric and cutting arguments. The other person I was reminded of as I read Owen’s quote was me. How deep is my own faith? How often do I fail to see my knowledge of salvation “in the light of the Spirit of God, in a saving, soul-transforming light” leading to communion with God? 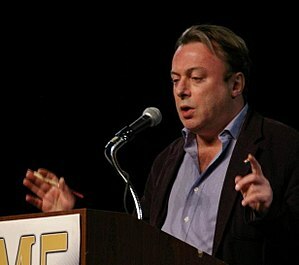 Christopher Hitchen’s knowledge of the truth resulted in passionate raging against the God of the gospel. How many of us know the same truth, and experience neither Hitchen’s revulsion nor the graceful transformation Owen describes? I do not doubt my salvation. Rather, I am reminded to pray that my acceptance of this glorious gospel of grace would be at least as passionate as Hitchen’s rejection of it, and never result in the cold head knowledge that produces no fruit, no heat, and no light.